LOS ANGELES (Dec. 14, 2016) – Nominees for the 23rd Annual Screen Actors Guild Awards® for outstanding individual, cast and ensemble performances in film and television of 2016, as well as the nominees for outstanding action performances by film and television stunt ensembles were announced this morning at the Pacific Design Center’s SilverScreen Theater in West Hollywood. SAG-AFTRA President Gabrielle Carteris introduced Sophia Bush (Chicago P.D., One Tree Hill) and Common (Suicide Squad, Selma),who announced the nominees for this year’s Actors® live on Turner's TNT, TBS and truTV cable networks, as well as online atsagawards.tntdrama.com, truTV.com and sagawards.org. Prior to that, SAG Awards Committee Chair JoBeth Williams and Committee Member Jason George revealed the stunt ensemble nominees during a live webcast on sagawards.tntdrama.com and sagawards.org. In addition, for the first time ever both announcements were available through a Facebook Live stream on the TBS, TNT, truTV and SAG Awards Facebook pages. A replay of both announcements is available for viewing on sagawards.tntdrama.com and sagawards.org. The complete list of 23rd Annual Screen Actors Guild Awards nominations follows this notice.  The 23rd Annual Screen Actors Guild Awards® presented by SAG-AFTRA with Screen Actors Guild Awards, LLC will be produced by Avalon Harbor Entertainment, Inc. and will be simulcast live on TNT and TBS on Sunday, Jan. 29, 2017 at 8 p.m. (ET) / 5 p.m. (PT). TBS and TNT subscribers can also watch the SAG Awards live through the networks' websites and mobile apps. In addition, TNT will present a primetime encore of the ceremony immediately following the live presentation. Prior to the televised ceremony, the stunt ensemble honorees will be announced during the SAG Awards Live Red Carpet Pre-Show webcast. Two nominating panels — one for television and one for film — each composed of 2,500 randomly selected SAG-AFTRA members from across the United States, chose this year’s nominees. Final voting information will be sent to the 121,546 SAG-AFTRA members in good standing across the country, who may vote on all categories. In keeping with the SAG Awards’ commitment to sustainable practices, online voting is encouraged. Request for optional paper ballots must be made to Integrity Voting Systems by Friday, Jan. 13, 2017. All votes must be received at the elections firm by noon PT on Friday, Jan. 27. Results will be tallied and sealed until the envelopes are opened by the presenters live onstage at the 23rd Annual Screen Actors Guild Awards ceremony on Jan. 29, 2017. The Screen Actors Guild Post-Awards Gala benefiting the SAG-AFTRA Foundation will be hosted for the 21st consecutive year by People and the Entertainment Industry Foundation (EIF) to benefit the SAG-AFTRA Foundation and honor actors’ philanthropic activities. For more information about the SAG Awards®, SAG-AFTRA, TNT and TBS, visit sagawards.org/about. MOTION PICTURE CAST – "Hidden Figures"
MOTION PICTURE CAST – "Moonlight"
2016 – MALE SUPPORT –“Beasts of No Nation"
2007 – FEMALE TV MOVIE/MINISERIES – "Elizabeth I"
1996 – MALE TV MOVIE/MINISERIES – "Truman"
2015 – FEMALE SUPPORT – "Into The Woods"
2007 – MALE MOVIE/MINISERIES – "Nightmares & Dreamscapes"
2005 – MALE MOVIE/MINISERIES – "The Wool Cap"
2016, 2015, – FEMALE COMEDY – "Veep"
2016, 2015, 2014 – COMEDY ENSEMBLE – "Veep"